← Wordless Wednesday: Just Peachy…. This weeks WP Photo Challenge is to show things “Off-Season“. I stretched this theme a bit by showing things that are out of season or out of style nowadays. 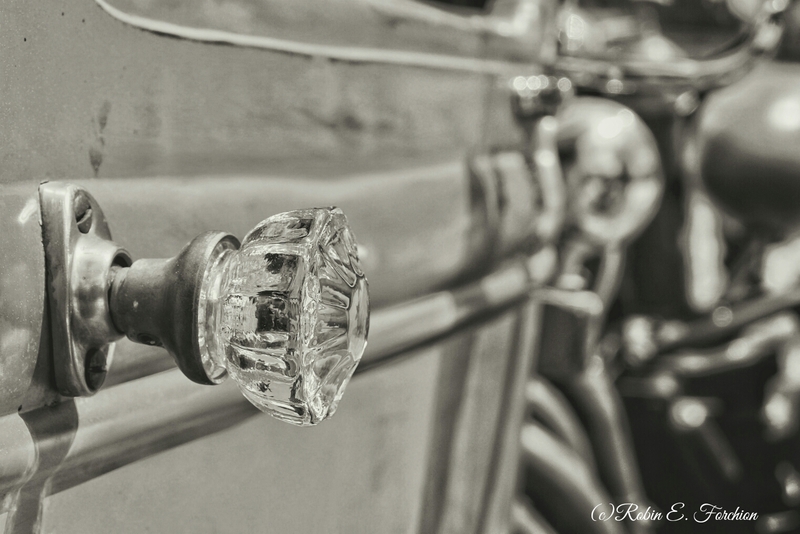 The first 2 images are of the same picture, crystal-like knobs on a classic car. Back in the day it was common place to see crystal knobs in a lot of homes but now it is extremely rare. It was even rarer to see them on a car. I like the color version better as it shows more of the reflection but what do you think? Stop by the Daily Post to see other versions of “Off-Season“. **Taken at Batsto Village 2014 Classic Car Show. 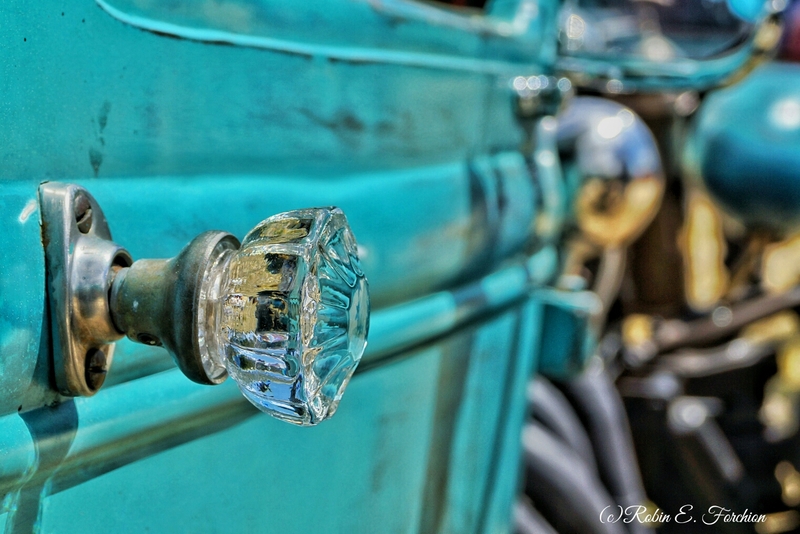 Posted on June 12, 2015, in WP Photo Challenge and tagged antiques, Car Show, Cars, challenge, crystal, new jersey, nj, Photo, photo challenge, photography, photos, Pics, Pictures, Sony @65, South Jersey, WP PHOTO CHALLENGE. Bookmark the permalink. 13 Comments. It is a “kewl” car. Very different to see crystal as a handle. Love the colour in that first shot. I need to work on my B&W have not been able to get it right yet. Like the color version better also. Still working n getting my B&W better. the colour one works better in this instance. You need more contrast for B/W photos. Great shot!! I think it would have been fancier if the car was a dark color. And the colour version does favour the knob better.